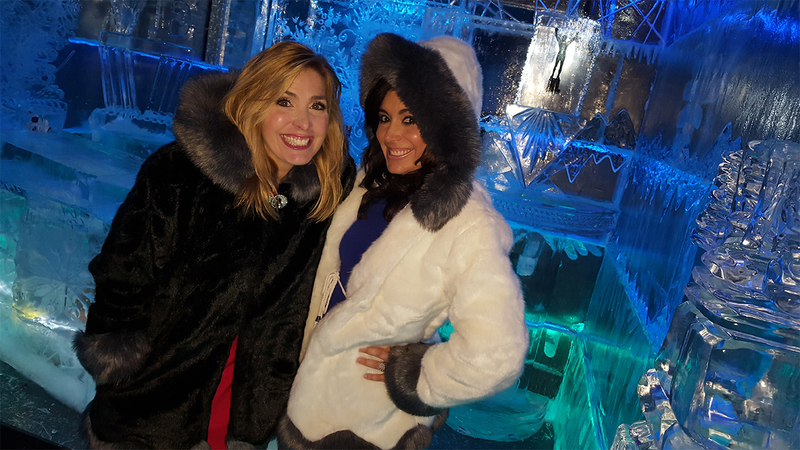 This week on FYI Philly we visit two new places to party in the city, get a taste of Northeast Philly's cultural cuisine, learn about two premier dining events and discover how to succeed in your daily routine. Plus, we get a taste of the dining scene in Orlando where you could be if you are lucky enough to win for four to Florida. It's all this weekend on FYI Philly Saturday at 7 p.m. and Sunday night at midnight. Alicia and Melissa take us to Clubhouse and Concourse Dance Bar. 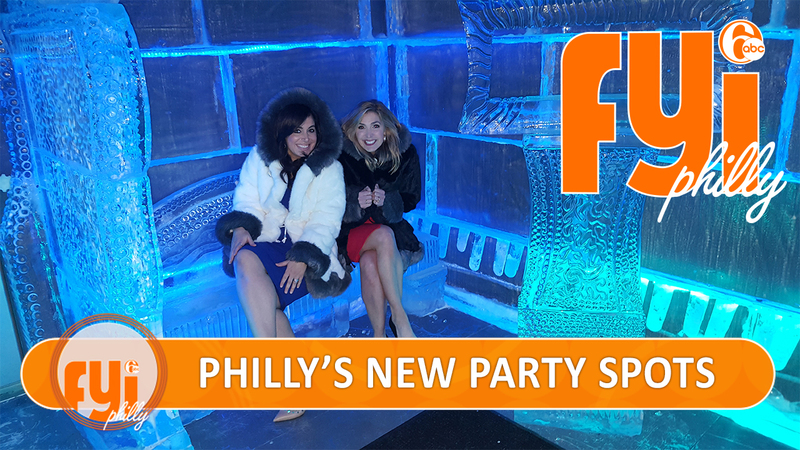 Alicia and Melissa take us to two new spots adding their own twist on Philly nightlife. Northeast Philadelphia is rich in authentic ethnic cuisine. Melissa Magee rounds up some of the authentic ethnic cuisine available in Northeast Philadelphia. We see what's cooking for Restaurant Week in AC. Jeannette Reyes previews this year's Atlantic City Restaurant Week, which runs March 4-9. You could make this amazing Israeli Sabich Salad in just six minutes. Step 1: Grill the Eggplant. Slice a fresh eggplant into thick slabs (Chef Tip: Make sure the eggplant is blemish free and shiny enough that you see your reflection in the skin). Slather one side with Za'atar marinade (Chef Tip: you can buy Za'atar or just use olive oil, salt & pepper). Step 2: Prepare fattoush salad (fattoush is a Lebanese bread salad). Use half of an old baguette (Chef Tip: you can use any variety of stale bread). Drizzle with olive oil, season with salt & pepper & toast in frying pan, in oven or even on grill (you're basically making croutons). Chop up red onion (approx. 1 TSP). A dozen grape tomatoes sliced in half (Chef Tip: you can substitute any variety of tomato). Half of a medium sized cucumber, sliced and quartered. Put all vegetables into a bowl, season with a little salt, a dash of cumin, a little bit of fresh dill & olive oil then toss. Dice up toasted bread in roughly the same bite size as your vegetables and add to bowl. Melissa checks out some eats and drinks in Orlando. Here's Melissa Magee with a roundup of places to eat, drink and be merry while you are on vacation. We're giving away a trip for 4 to Orlando! East Passyunk is serving up some amazing eats for its special week of dining. East Passyunk Restaurant week is February 26th to March 9th and there are 26 restaurants participating. Each restaurant is serving up three courses for $15, $25 or $35. Floral fashion in time for the flower show. Dressing up for Flower Show Preview Party or getting Oscar Ready? Gabrielle's in Bala Cynwyd has your fashion inspiration. Melissa's healthy hack shows you a tasty burger that won't leave you feeling stuffed. Jamila Payne has some help for anyone looking for positive affirmation. We all have packed schedules, so who's got time for 'personal projects'? Jeannette Reyes introduces a Philly girl who designed a system, to help you get going... with your goals! We check out some things to do for the final week of Black History Month. February is fast coming to a close but there are still Black History Month celebrations going on throughout the city. in this week's 6abc Loves the Arts, Karen Rogers has a roundup of special events. Learn about the SPCA's Lonely Heart Club. The Pennsylvania SPCA created the Lonely Heart Club to give special attention to the unnoticed animals of the shelter. Check out FYI Philly on social media. Like us on Facebook FYI Philly on Facebook for more about destination sites across the region.